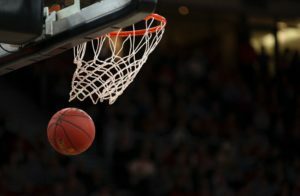 The annual NCAA basketball tournament known as March Madness starts its 2019 edition on March 19 and will end on April 8. In these 21 days, you can also expect that the amount of alcohol that’s going to be consumed, especially in young adults, will also skyrocket. This event and St. Patrick’s Day (March 17) are the reasons why March has the highest beer sales for the entire year in the US. During March Madness, many college students attend tailgate events, bar viewing parties, and post-game celebrations with the single-minded goal of having a drink. According to one study, a school’s participation in March Madness seems to represent an increase in the amount of alcohol consumed by its students. Researchers also found that the tournament was associated with a 30% increase in binge drinking and a 9% increase in self-reported drunk driving by male students at that school. What this shows is that while participation in the tournament may have a positive effect on the school itself due to the exposure it gets, there are also negative effects on its students as it may influence excessive alcohol consumption. What’s different in March Madness 2019? This year, many people are already predicting that the event will get much crazier. This is because, after years of banning alcohol sales in championship events, the NCAA has announced that it will now be possible to buy beer or wine while watching the games live in the stadium. This was decided after pilot tests reportedly showed that selling alcohol in stadiums did not cause people to reach “belligerent levels of drunkenness” that the policy aimed to prevent. Additionally, it was seen as a way to increase stadium attendance during games. Because of the previous ban, many people try to get creative so they can bring in booze without getting detected. But with this new development, basketball fans who want to watch the game live do not need to smuggle their alcohol inside the venue. While many fans cheered this piece of news, there are also people who are concerned that this will only normalize alcohol drinking in student events and cause violent and risky behavior. For many young adults, drinking is considered a social activity. In tournaments like March Madness, it is a way to celebrate if your team wins and also a way to down your sorrows if your team loses. Most times, you drink to keep yourself occupied while watching. But in these situations, it’s always very hard for you to keep track how much you’re really drinking. The tendency is just to mindlessly gulp down the drink in your hand as if it’s water. When this happens, you may be consuming more than your body can handle. Binge drinking and engaging in drinking games are also very common. Many surrounding bars also offer unbelievable beer promotions that encourage people to drink more. But while overindulging in alcohol may seem cool and fun at that certain moment, it can have very serious effects. Drinking too much can lead to alcohol poisoning. This happens when you have an abnormally high amount of alcohol in your blood. This is a dangerous situation as it could even lead to death. But what if you’re not binge drinking and just drinking just a few bottles at every game? While this may seem harmless, what it can actually do is build your alcohol tolerance. As you repeatedly drink alcohol, your body starts to get used to the substance. In order to get the same effects, you will start to crave a higher amount every time. This can lead to alcohol dependence. Even after the final matches, don’t be surprised if your body starts to crave alcohol. This could be the beginning of an alcoholism problem that is very difficult to quit. March Madness is just one of the events heavily identified with alcohol, just like New Year’s Eve and St. Patrick’s Day. However, it is not impossible to avoid getting drunk during this period. You can still enjoy basketball games without being intoxicated. If you are a casual drinker, make sure to pace yourself. Drink a glass of water in between drinks and make sure you eat a full meal so your stomach is not empty. Limit yourself to just 1 to 2 bottles of alcohol for the entire night and reward yourself with a new video game or a new shirt the next day with the money you saved. Avoid trendy craft beers which usually have a higher alcohol content. Plus, even if you don’t feel drunk, don’t attempt to drive. Order yourself an Uber or assign a designated driver for your group. 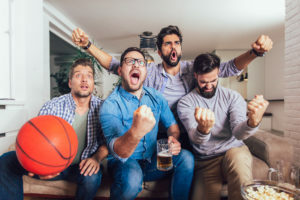 If you are in recovery and you’re trying to stay sober, watch the games with a like-minded group. Going to bars with friends who are drinking might be a trigger for you to relapse. If you decide to go anyway, make sure you go with a sober buddy whom you can trust to watch over you in case you get tempted. Instead of just not drinking anything, it might be safer to have a club soda or a mocktail in your hand so people will not try to offer you drinks. March Madness is one of the most exciting sports events of the year but keep in mind that being a part of the fun should not be at the expense of your health and your future. If you or a loved one is struggling with alcohol abuse, help is available today. Contact Lighthouse Treatment Center to learn more about our specialized modes of treatment.